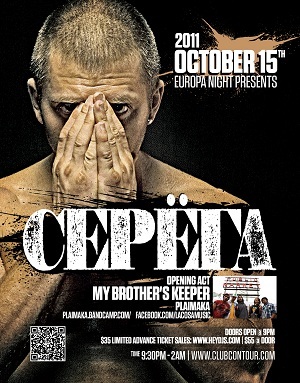 EUROPA SMS SONG REQUEST! 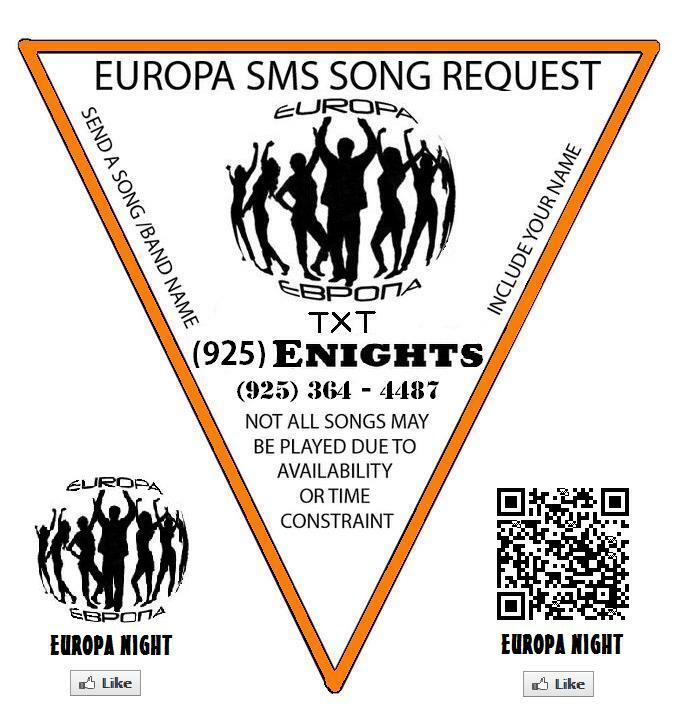 Text your favorite songs to 925-ENIGHTS (925-364-4487) or tweet to "EuropaNight" every Saturday and we will play 10 randomly selected songs that same night while you are on the dance floor. Don't forget to include your name so we know who we can thank for the request.